Don’t Have Dimensions in Families for COBie? Don’t Worry! Well there is no need to stress, as always there is potential for Dynamo to come to the rescue. 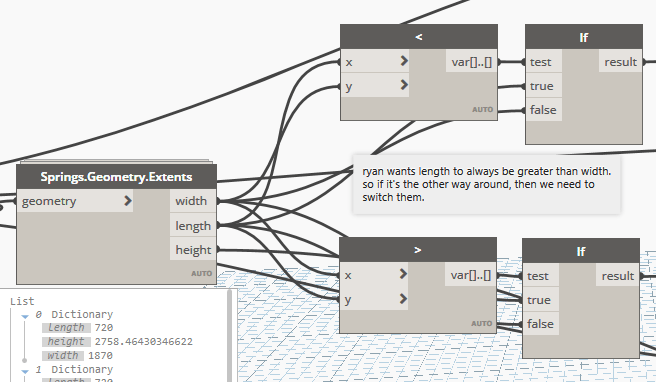 I put this one together in Dynamo v1.3, but I have tested it in v2.x as well and it still works just fine, just a note though. If you save your old 1.3 graphs in 2.x, it’s now a 2.x graph forever. 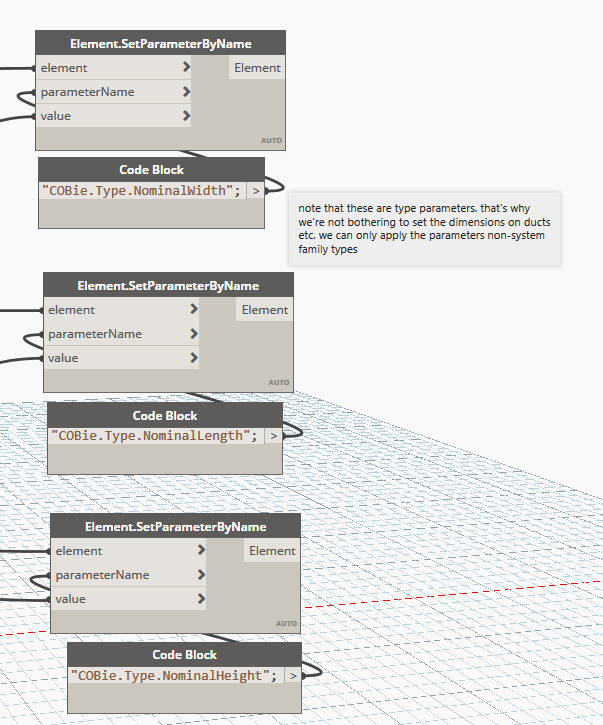 The way that I approach the majority of my COBie work is through a 3D view and a schedule with a set of very hand filters, so I’ve continued down this route for my Dynamo graph and I start it off by getting all the elements in the active view – my 3D COBie view. Just in case there is anything in the view that isn’t a family I’m getting the element type of each element, convert that value to a string and then filter the list based on the string “family”. This is because every family in the view will be prefixed with Family Type: whereas non-family objects will not. Once we have the filtered list of families, we need to take the bounding box of each element, we do this with an Element.BoundingBox node. 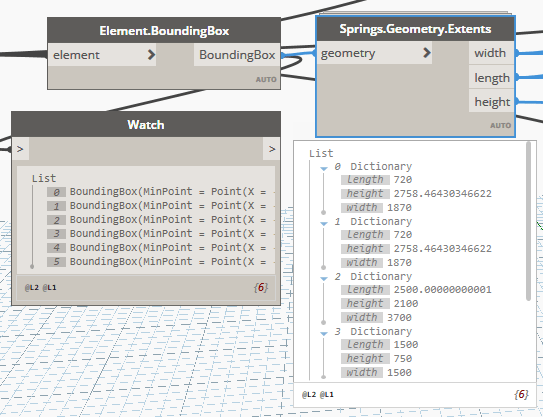 Using Spring Nodes, we next use Springs.Geometry.Extents to separate out each dimension individually. The next step is a bit of simple math. I want to ensure that the length parameter is always longer than the width, so with a few if statements and some greater than and less than nodes, the top pair of nodes always provide the smaller number that will populate our width parameter and the lower set of nodes now provide the large number which will feed into our length. Finally, we populate our parameters with the correct information. Note that your parameters must be set correctly to type parameters for this to work, if you have incorrectly made them instance parameters the script will not work but if you’re paying attention you’ll see that the hint is in the name of the parameter. 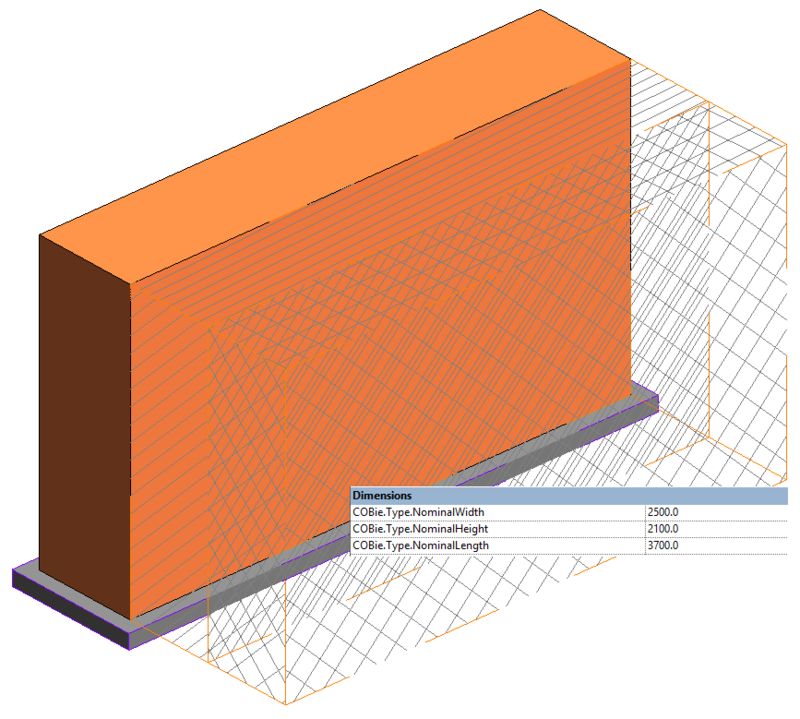 Now, don’t forget that with the COBie element data, you should be nominating dimensions inclusive of the maintenance requirements for that object, you could always add a little bit of extra fat to your dimensions, but I would highly recommend approaching COBie and BIM in general the right way and including spatial elements that indicate the overall dimensions including maintenance access similar to what is shown in the electrical switchboard below.